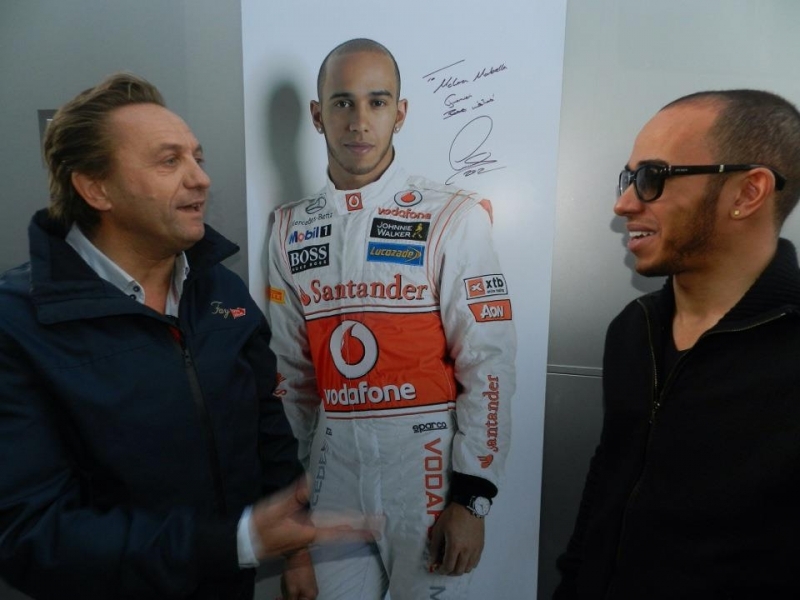 Mario Guarnieri and Lewis Hamilton meet up in Jerez! During Formula One's first pre-season test that took place at Jerez (7-10th of February) Mario Guarnieri had the chance to meet the world-famous Formula One driver Lewis Hamilton! Lewis Carl Davidson Hamilton, the British Formula One racing driver from England, is currently racing for the McLaren team. Therefore he was more than happy to meet and greet the sole presenter of McLaren in Spain - Mario Guarnieri, who is the managing director of Guarnieri. "We displayed our new McLaren demo next to Lewis Hamilton's motorhome in The Paddock in Jerez," says Guarnieri. "He was more than happy with THE Car and he even signed a big poster for the Guarnieri McLaren Marbella showroom!" Moreover, there were some rumours going around saying Hamilton also visited the Marbella showroom in San Pedro! Mario bring Lewis to Marbella! Mario is showing up in everywhere, can you please write about him more! ?